How to iron on morale patches : A step by step guide -- . The back of the patches are not sticky, but they will have a "clear coating" look on them. That is the adhesive that is activated by heat. 3. 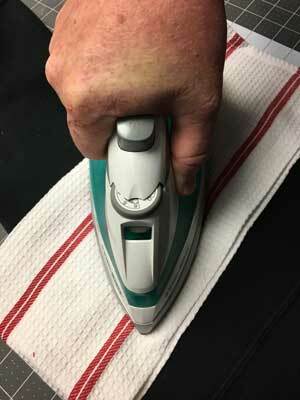 TURN YOUR IRON ON to the highest setting and let it heat up completely. DO NOT USE STEAM. If you have added water to your iron, make sure you empty the water out before you heat up the iron. 4. PLACE YOUR PATCH WHERE YOU WANT IT. Make sure you have your patch exactly where you want it on your uniform, garments or tactical gear. Yes, you can iron on patches to a hat too. You may want to move the patch around to get perfect placement. 5. COVER YOUR PATCH. Yes, you need to cover your morale patch with a thin towel or tea-towel to iron on the patches. Direct heat may damage the patch, so you need to make sure it is covered. 6. 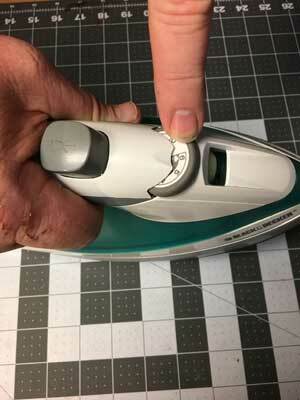 IRON ON THE PATCH: Press down the iron onto the covering and the patch and hold for 15 seconds using medium pressure. There is no need to wiggle or move the iron, just press down, hold down for 15 seconds and then release. Try to keep the pressure even without moving the iron. 7. Wait for the patch to completely cool. You can't see if your ironing worked properly is the patch is still hot or warm, the adhesive needs time to cool and solidify. Once the patch is cool, you can test it. If you don't think it has adhered enough, cover the morale patch and press for another 15 seconds using medium pressure on the iron. 8 FOR BEST RESULTS, IRON THE OTHER SIDE - this will give you best results for iron-on patches. You don't need to cover up the reverse side of the patch area , that only matters for the front of the patch that you are ironing directly - the merrowing thread and the embroidery thread. When ironing on the backside of the patch, you are ironing directly to the inside of the uniform or shirt, not directly on to the morale patch. If you are ironing your patch onto a shirt for example, once you iron on the front of the patch, turn the shirt inside out and iron from the backside - do the same thing, press the iron down for 15 seconds using medium pressure. WAIT FOR THE PATCH TO COOL BEFORE TESTING. Once you have ironed both sides of the patch, you are done! Make sure that your iron-on patch has cooled completely before testing. Enjoy your custom morale patches, iron-on patch style ! Now you don't have to have velcro to have patches where you want them.